Marc A. Perper is a partner at the law firm of Horwitz, Horwitz & Associates. Since 1984, Marc has concentrated his practice in the field of workers' compensation law, representing seriously injured workers in claims under the Illinois Workers' Compensation and Occupational Diseases Acts at trial and on appeal. Marc has also handled civil appeals in state and federal courts. He also has assisted in the preparation and trial of personal injury cases in the areas of construction negligence, the Illinois Structural Work Act, products liability, medical malpractice, and federal civil rights. Marc has been a seminar presenter for the Illinois Institute for Continuing Legal Education, the Chicago Bar Association, the Workers' Compensation Lawyers Association, the Arthritis Foundation, and various consumer groups and labor organizations. He has contributed a monthly column to the Fox Valley Labor Record on workers’ compensation issues. 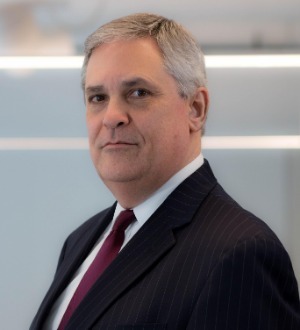 He is a member of the American, Illinois State and Chicago Bar Associations, the Illinois Trial Lawyers Association, the Workers’ Compensation Lawyers Association, the Workplace Injury Litigation Group and the American Association for Justice. He was also a past director of Reflex Sympathetic Dystrophy support groups at Loyola University Medical Center and Hinsdale Hospital. Marc received a Bachelor of Arts degree with Honors from University of Illinois in 1975, a Master of Arts degree from University of Illinois in 1978, and a Juris Doctor degree with High Honors from IIT / Chicago-Kent College of Law in 1984. He is a former member of Service Employees International Union Local 236 (now Local 1) (withdrawn in good standing, 1983), and a former member of the Chicago Federation of Musicians (withdrawn in good standing, 1978).